for those of you who missed the RSVP to the Thrillist event, look what I found: a different two hour open bar! I've never been here before (to my knowledge) and it looks like a nice lounge. 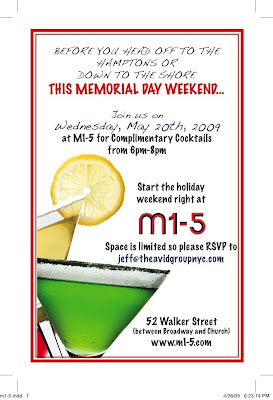 So stop crying, and hurry up and RSVP to this 2-hour free open bar at M1-5!